I was in the local model shop getting some bits for the iNav wing and this little cutie caught my eye and so long £50 from my bank balance. Fly's so well with its 6 DOF control system. 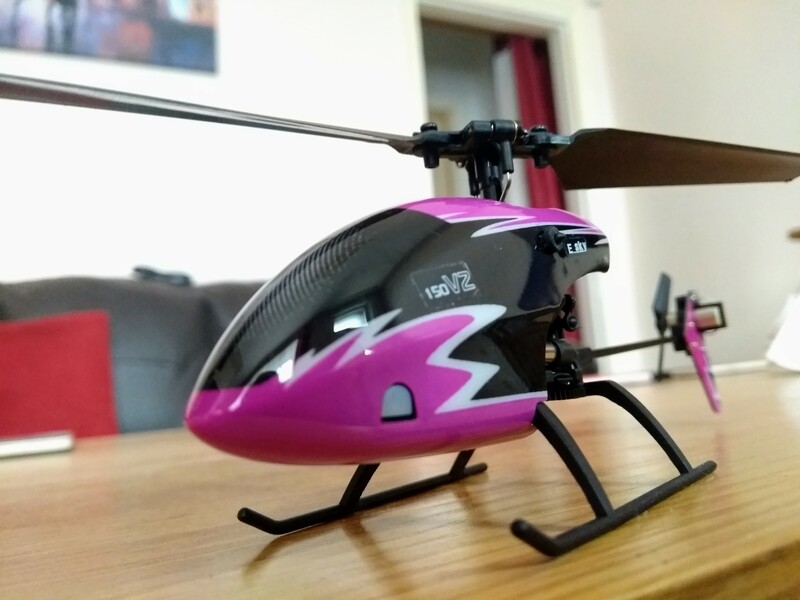 Okay - I am beginning to think that your local hobbystore see you coming and quickly put out all the pink cute planes / quads / helis that they have knowing you cant resist! I know how that is...I went in to my local hobby shop and saw the Inductrix Switch Air, and now i'm thinking I might have to go buy it since I still have a $25 GC from Christmas that I haven't used yet! They had the Inductrix switch too......sooooooo tempting!!!! The Switches are a LOT of fun if you have a cat. I made the hovercraft that FT had here a while back, which the Switch is like; I had spare parts from an Inductrix crash that broke the frame, and I put one together. My two cats love chasing it around the kitchen. I bought a switch air, it’s an amazing amount of fun for $50!! Wow what the hell just went on here?! So much fun personal information flying around here . You really can’t resist those pink and purple colors, so happens to be that also your speedster is also purple. I never got along well with helis. They always seemed to climb high lose connection and fall of the sky for me . Purple is a favourite of mine. 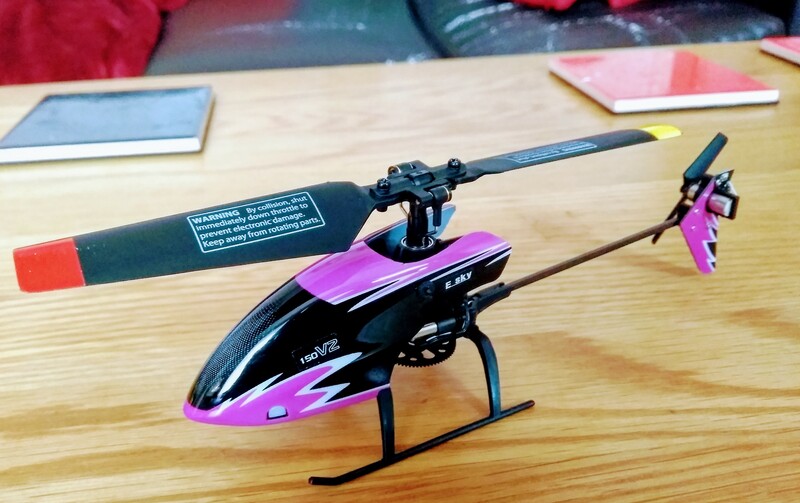 The control system inside this tiny helicopter makes flying it a doddle. Wow!! You do have the passion for anything that flies. Heli's are big dollars in the learning process. Our first heli was a Cricket and there was no gyro, you adjusted your wooden blades with adjustable wrenchs. Be sure to add to your "bucket list" flying a ornithoptor.